How do I ensure I have the correct textbooks for my classes? This link takes you to the Bookstore’s Chemeketa Dashboard site. This site is only available to college employees. On Campus: You must be logged in with your network username and password. Using a generic login for classroom, student use, or adjunct faculty work area computers will result in an error message. The Bookstore will automatically order those textbooks for your course sections. 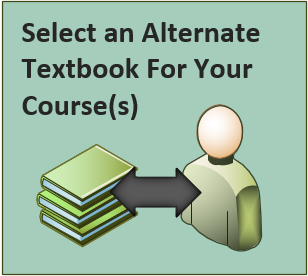 Alternate Textbook Selections will remain active and will be used for all subsequent terms until the textbook is removed from the Authorized Textbook List or the selection is adjusted by the instructor.